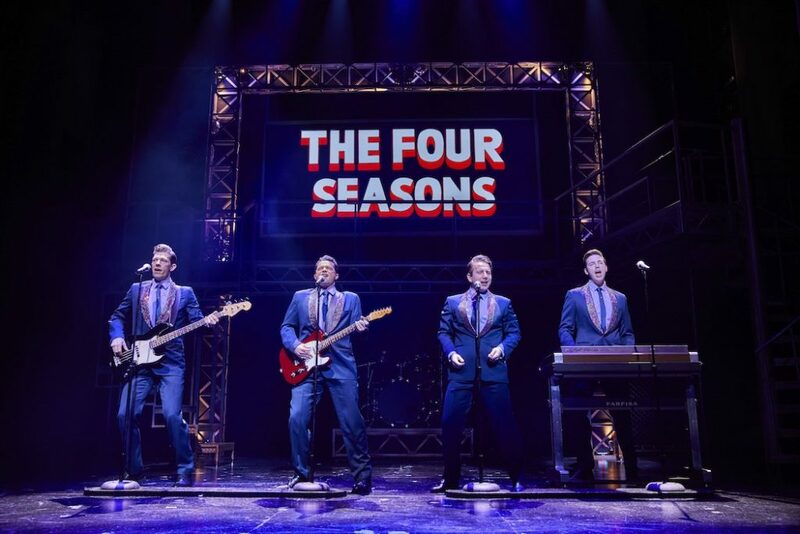 Who knew – apart from their legions of fans who bought 175 million of their records worldwide, of course – that Frankie Valli and The Four Seasons were responsible for so many iconic songs? 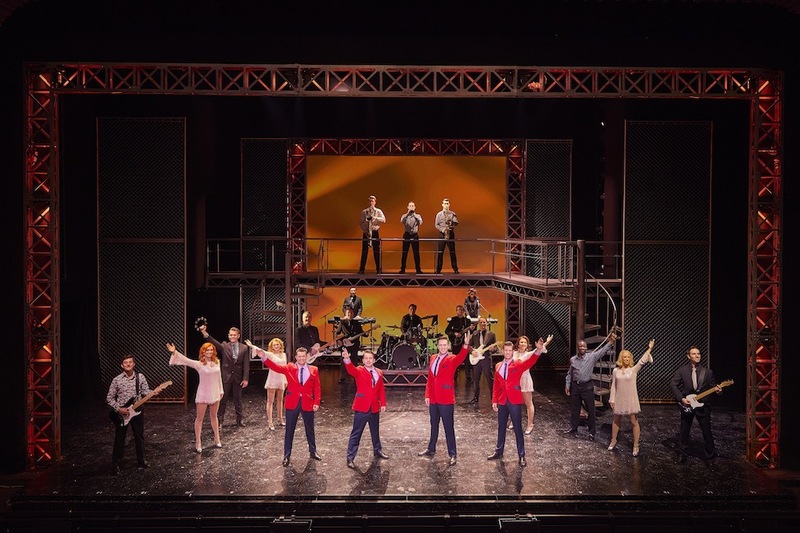 ‘Walk Like a Man’, ‘Bye Bye Baby’, ‘Oh What a Night’, ‘Big Girls Don’t Cry’, ‘Beggin”, ‘Earth Angel’, ‘Can’t Take my Eyes Off You’ and the inimitable ‘Sherry’ – you’ll be treated to all of these and more in this non-stop foot-tapping, body-swaying bop of a musical. The story follows the Jersey Boys’ bumpy ride from the wrong side of the tracks in New Jersey to the ‘Rock ‘n’ Roll Hall of Fame’, peppered with jail stays, gambling, tax evasion and mob connections. 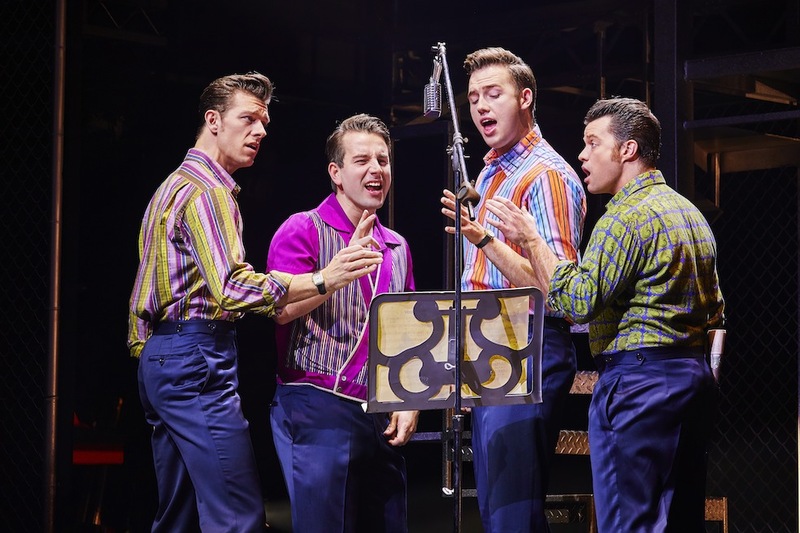 You’ll get to see that – whilst the group sang perfect harmonic melodies together on stage – that same harmony often evaded their relationships with each other. Which is why the theatrical ploy of seeing the story through each different character’s point of view in this show is an interesting one. 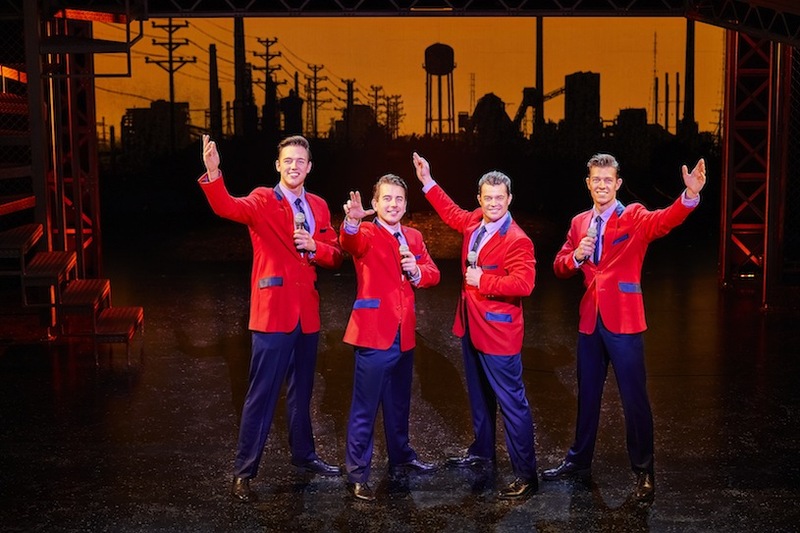 The Four Seasons are all brilliantly played individually by the actors – Michael Watson as Frankie Valli, Simon Bailey as Tommy Devito, Declan Egan as Bob Gaudio and Lewis Griffiths as Nick Massi – each portraying their character’s foibles, flaws (and comedy) expertly. And when they come together to perform? They’re awesome. All of them have great singing voices and Michael Watson hits the high notes for which Valli is famous for with ease. 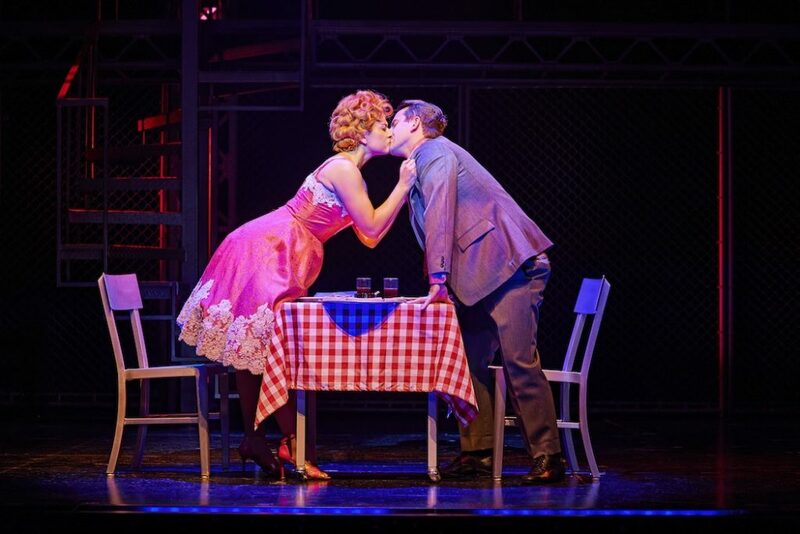 As the show shows, none of the Jersey Boys were perfect characters. Far from it. But their performances were. And so is this show. Oh What a Night indeed.